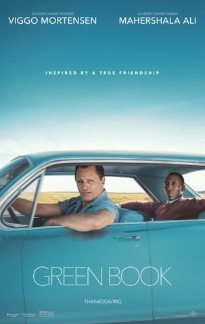 I am really late with reviewing “Green Book”. I had not planned to see it, but after it was nominated for several Golden Globes and Oscars, I quickly changed my tune. So better late than never!! “Green Book” is very good. I was concerned about the racially motivated scenes, but as it turns out there were not that many and the ones that were shown were played down and a bit mild in comparison to others I have seen in other movies that depict racism in the 1960’s. The movie was entertaining and watchable. Mahershala Ali is a very fine actor and deserves all of the accolades that come his way. The movie sort of reminded me of “Driving Miss Daisy” but in more modern times.